While stories about each and every little thing Donald Trump said and did dominated the news cycle over the weekend, a major environmental catastrophe unfolded in the Gulf of Mexico — and you probably didn't hear about. Oil company Royal Dutch Shell has begun the massive task of cleaning up nearly 90,000 gallons of crude oil that leaked from a company oil derrick roughly 90 miles off the state's coast, the Associated Press reported Friday. Shell first noticed the leak only after a helicopter reported a 2 by 13-mile sheen across the Gulf of Mexico near the oil giant's Brutus platform. The spill has been contained, a U.S. Coast Guard press release reported Thursday. "The likely cause of the sheen is a release of oil from subsea infrastructure and in response, we have isolated the leak and shut-in production," the company said in a statement, the Wall Street Journal reported. "No release is acceptable, and safety remains our priority as we respond to this incident." Locals around the site of the latest spill remained unconvinced, telling ThinkProgress that the official line from Shell and others was more of the same. "You sit down for dinner and you watch the news and you see another spill with tens of thousands of gallons of oil and reports that no one is hurt or the leak has stopped," Colette Pichon Battle, executive director of the Gulf Coast Center for Law and Policy, told the progressive advocacy group. "Just from experience, that that's probably not true." She added that the poorest residents of coastal communities and Native Americans were likely to feel the brunt of any damage. 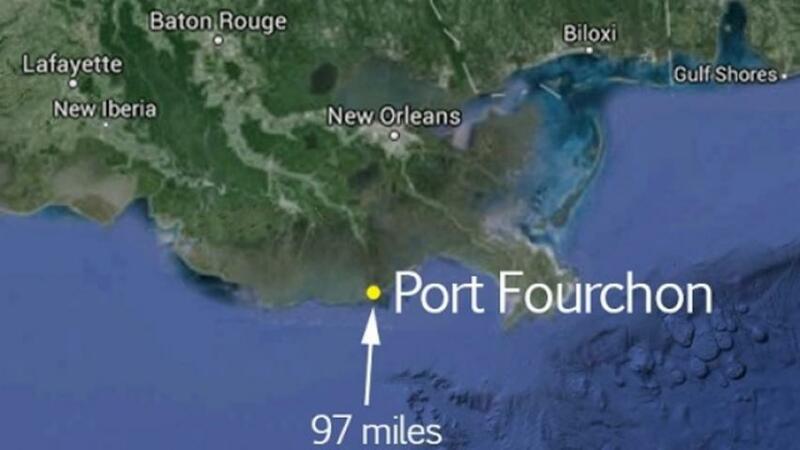 The incident was also striking for a comparable lack of coverage it received, especially given its location in the same area where the BP Deepwater Horizon explosion caused immense ecological devastation in 2010. 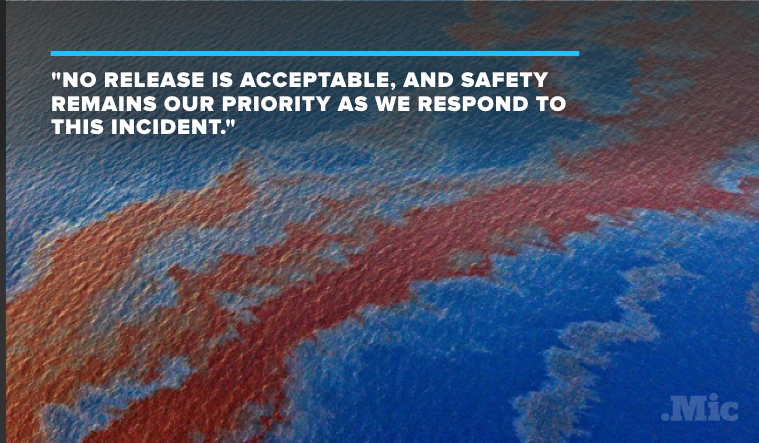 The fallout from the largest oil spill to occur in U.S. waters are still being felt today.